Dr. Robert Sladek recently found a quartet of DNA needles in a veritable haystack, a discovery that will change how we think about type 2 diabetes. Sladek, an endocrinologist at the McGill University and Genome Quebec Innovation Centre, joined Dr. Constantin Polychronakos from the McGill University Health Centre—plus researchers from Canada, Britain and France—to search the entire human genome for genes linked to type 2 diabetes. The team compared hundreds of thousands of fragments from diabetic and healthy patients. The gamble paid off. Repeatedly. “Of the four genes we have identified,” says Sladek, “two are involved in the development or function of insulin-secreting cells and one plays a role in the transport of zinc, an important mineral required for the production of insulin.” The function of the fourth gene is still unknown but, based on the sequencing of the human genome, the researchers suspect it’s associated with diabetes. 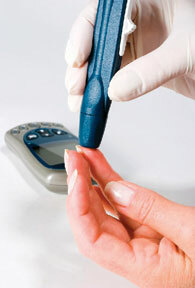 Nearly two million Canadians live with type 2 diabetes. It’s a complex disease, believed to be the result of a multifaceted interplay between genetic and environmental factors. The mere presence of all four of these newly identified genes does not guarantee a person will develop type 2 diabetes; rather, it significantly increases the odds that certain lifestyle choices (particularly an unhealthy diet and lack of exercise) will lead to the disease. Prediction may therefore mean prevention. This project is funded by Génome Québec and Genome Canada.